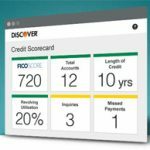 My previous post A Real FICO Score That’s Really Free! showed you how to get a free FICO score from Experian and TransUnion. There is one more score in the credit bureau triumvirate: EquiFax. You can get that free FICO score if you have Quicken. These aren’t just one-shot opportunities. You can refresh your Experian and TransUnion score monthly. The EquiFax score renews quarterly. I’ve been using Quicken for years to easily track and organize all my finances. Check out my review: I Feel Like Quicken Tonight. 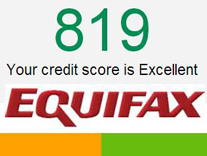 Without paying anything, I have constant access to my “Excellent/Exceptional” FICO scores. Previous articleA Real FICO Score That’s Really Free! Next articleMy Identity Has Been Stolen!